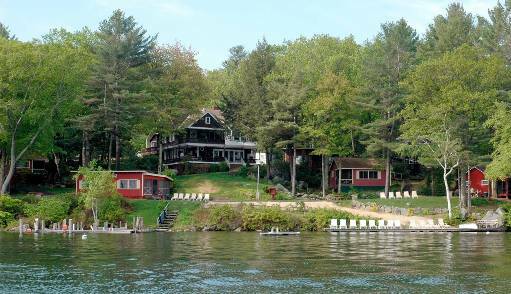 Cottage number nine is like a home away from home. This three bedroom unit with a double bed in one room, double bed in the second room and bunk beds in the third has a spacious little kitchen separate from the living/dining area. It, too, has a view of the lake.